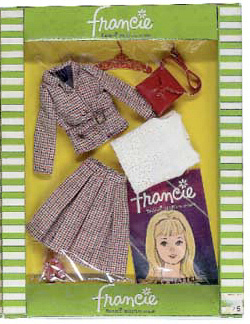 Francie's checked suit can be hard to find. The red purse can especially be a challenge to obtain. Because it was only made for one year, it is not readily available. When it is found, it is usually in good condition. The fabric holds up well and is not particularly prone to any problems.